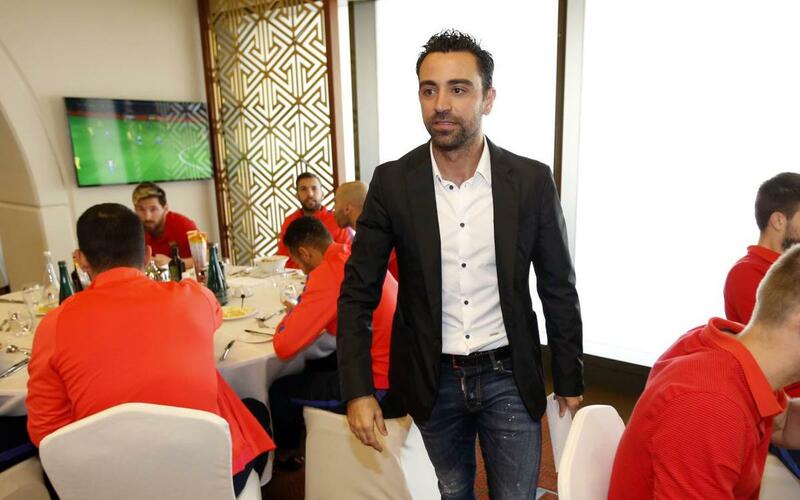 FC Barcelona are in Doha, and that’s produced the perfect chance to meet up with former captain Xavi Hernández, who is now playing his football in Qatar. After greeting players, staff and directors from the club that he served for a quarter of a century, he also found some time to speak to the Barça TV cameras. As for the extension of Messi’s contract, Xavi said “let’s hope he stays for many more years because we’re so lucky to have the best player in the world with us.